And there is some speculation over what we can expect from an accompanying DLC expansion. 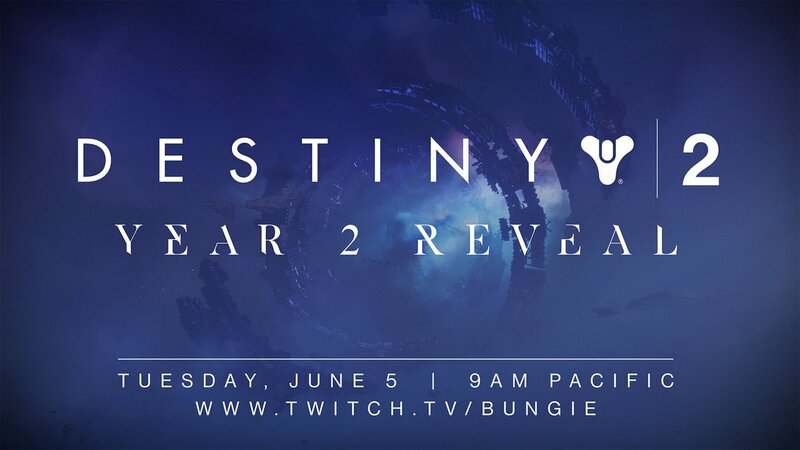 Destiny 2 Developer Bungie has announced that they will hold a live-stream revealing the content for the Year 2 timeline, at 3:00am on the 6th of June AEST. Safe to say not many Aussies will be able to join in sadly. But there is plenty of speculation over what a new expansion that the fanbase is expecting for their Autumn (or fall as they call it), or our spring, so lets talk about that. Firstly, many people think it will be set on The Reef, the Awoken race’s home. This is because of a few things. Firstly, because in the final cutscene of Destiny 2’s main campaign, three areas were shown after the traveler was awoken. Mercury, which was the setting of Call Of Osiris, the first DLC. Mars, which was given to the recent Warmind expansion, and then The Reef. It would make sense for The Reef to be the next area we visit given this order of locations shown. Also, in the image teasing Bungie’s live-stream, we see a background that looks very The Reef-like. It would also make sense to re-visit The Reef from a story viewpoint, as the last time we saw the Royalty of The Reef, was in The Taken King, when Mara and Uldren led an assault on Oryx’s dreadnaught. They haven’t been seen since, so perhaps the DLC may lead to tying the end of this loose story ribbon. Secondly, Polygon’s Ryan Gilliam made the very good point of their being a fifth alien race we haven’t seen yet. They were detailed in concept art for the original Destiny, as Polygon reports, but didn’t appear in game. However, in the end of Destiny 2’s last cutscene, we see triangular space-ships in space. These triangular ships are also in the concept art, and are called Race 5, and may represent “The Darkness.” as Polygon theorised. Thirdly, a new game mode has been confirmed, and was playable at a Bungie-hosted event, but people who were invited couldn’t talk about it, due to some NDAs (Non-Disclosure Agreements). Fourthly, it comes at the same time for Destiny 2, that The Taken King came for Destiny. That expansion dropped a lot of content and changes that fixed some of the games issues, and added some long-needed longevity for many players to tide them over till Rise Of Iron. Many think that the new expansion will do the same for Destiny 2 in spring (or Fall for americans). What do you think about these rumours? Are you going to watch the live-stream? Join the discussion below.